Magnetic Field Cube, Electricity & Magnetism: Educational Innovations, Inc. The Magnetic Field Viewing Cube is a striking new way for students to observe magnetic field lines - in 3D! 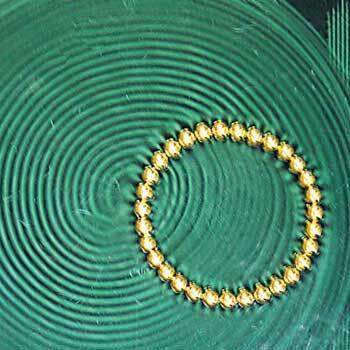 Even students who have seen magnetic fields demonstrated on a two-dimensional plane will be fascinated. Save yourself the mess of loose iron filings with this sealed, transparent acrylic box. 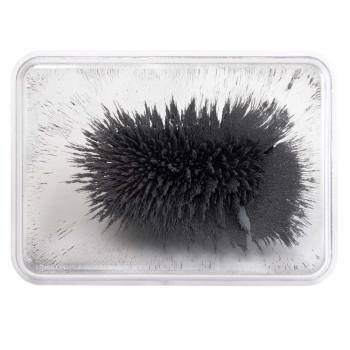 Simply shake the oil-filled cube, drop the cylindrical magnet (included) into the center compartment, and watch the iron filings respond to the magnet's presence. Durable enough to allow students to handle individually or use it with an overhead projector to share with a large group. Countless opportunities for experimenting with variables. Cube measures 3" x 3" x 3". Perfect for education!! the acrylic is very clean and well assembled. Just for precaution I put some glue in the lid to avoid any leakage. I highly recommend. Students can use the Magnetic Field Cube to plan and conduct an investigation to compare the effects of different strengths or different directions of pushes and pulls on the motion of an object. Students can use the Magnetic Field Cube to investigate and analyze data obtained from testing different materials to determine which materials have properties that are best suited for an intended purpose. Students can use the Magnetic Field Cube define a simple design problem that can be solved by applying scientific ideas about magnets. Students can do an activity with the Magnetic Field Cube to analyze and interpret data from maps to describe patterns of Earth's features. Students can use the Magnetic Field Cube to gather and make sense of information during an investigation. Students can use the Magnetic Field Cube to ask questions about data to determine the factors that affect the strength of magnetic forces. Students can use the Magnetic Field Cube to conduct an investigation and evaluate the experimental design to provide evidence that fields exist between objects exerting forces on each other even though the objects are not in contact. Students can do an activity with the Magnetic Field Cube to construct an explanation based on evidence for how geoscience's processes have changed Earth's surface at varying time and spatial scales. The Magnetic Field Cube can be used to develop and model how two objects interacting through magnetic fields, illustrates the forces between objects and the changes in energy of the objects due to the interaction. 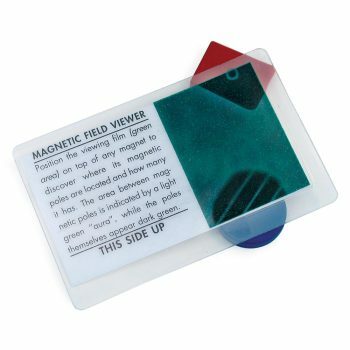 The Magnetic Field Viewing Cube is a new way for students to observe magnetic field lines in 3D. Students can do investigations with concrete visuals for understanding Earth science. 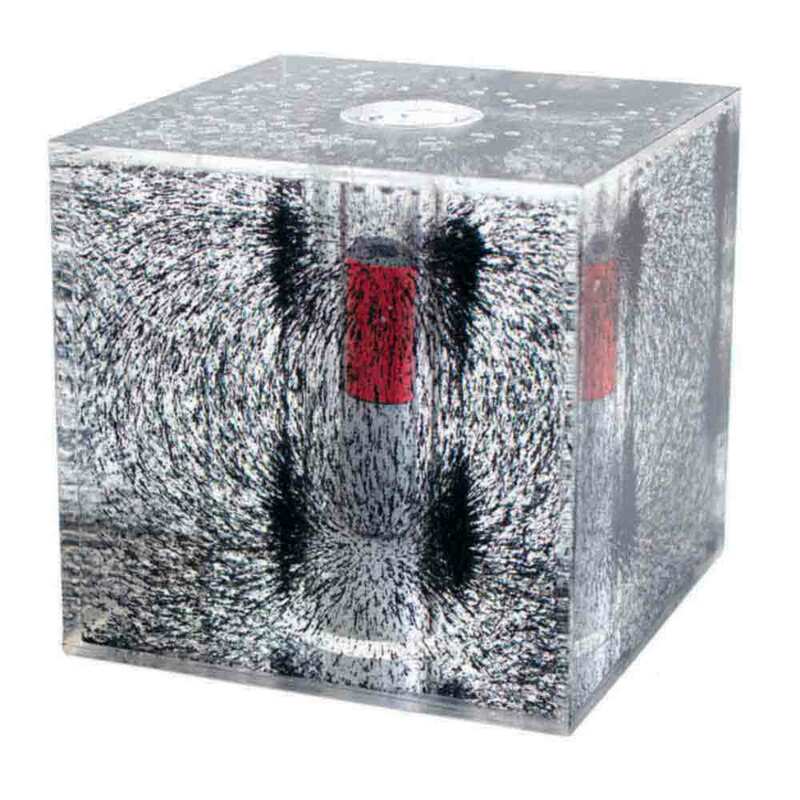 Polarity is easily visualized with this Magnetic Field Cube. It is mess-free and safe. 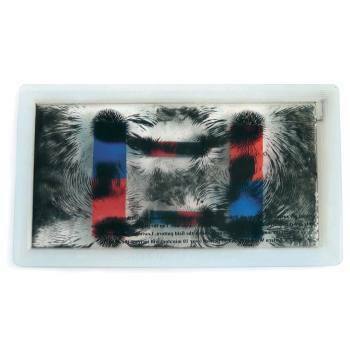 The iron filings are sealed in a transparent acrylic box. Shake the oil-filled cube, drop the cylindrical magnet (included) into the center compartment, and watch the iron filings respond to the magnet's presence. Countless opportunities for experimenting with variables.